Party Band Entertainment Acts Sydney. Lovegrove Entertainment. Not many people know how interesting the Sydney professional entertainment scene is. The city is a hybrid of many nationalities and musical cultures. The Sydney events industry sees most of it’s live party bands made up of second and third generation migrants. This is why the standard in the professional entertainment industry is so high – and so vibrantly eclectic. Sydney is a city populated by the young and the restless and has become the playground of Hollywood stars. Aside from it’s interesting populace, Sydney is a musically-inclined city. Even the world famous travelling rock music festival, “Big Day Out”, originally started its rounds in Sydney. It is no surprise that it is bristling with a lot of live bands for all types of occasions. What makes Sydney party bands so unique? For many years, there has been some friendly rivalry between Melbourne and Sydney, and this rivalry often manifested itself with the live bands that they have. Both cities have their respective festivals and celebrations, and at the centre of these festivities are these bands, bringing a lively feel to it. But Sydney, because of its more strategic location plus the presence of the Sydney Opera House, which is considered by many as a world heritage, has that advantage over its more cloistered counterpart. And this rare aspect somehow contributes to the development of its music culture. Melbourne would of course disagree and both cities have been hit hard by the ‘Pokies in Pubs’ phenomenon but it hasn’t lessened the impact on Sydney party and special events. Don’t be fooled with the term “party” with these live bands for hire. They are much more than that. The quality of their playing comes naturally, especially if you consider the culture and lifestyle of Sydney as a city. Many musicians feel just as comfortable pumping out Top 40 hits at a gala dinner as they do playing traditional music at a Greek wedding or playing in the orchestra pit for a touring Broadway musical. So it is safe to say that there is no shortage of fun, high energy party bands able to cater for a wide variety of event audiences, whether it be a Bar Mitzvah, a bachelor party or corporate event. The trick is to book a live band nice and early. As has been said, movie and music stars have escaped Hollywood just to get a glimpse of the vivacity of Sydney’s growing entertainment business. Thanks mainly to a number of Aussies who have carved a name for themselves in Hollywood and introduced Sydney as a go-to place for some music and relaxation. The effect, though, is that it has created a kind of dynamism to its music, particularly with these cover bands, which makes Sydney pulsating with a variety of musical styles, thus, reverberating across Australia. 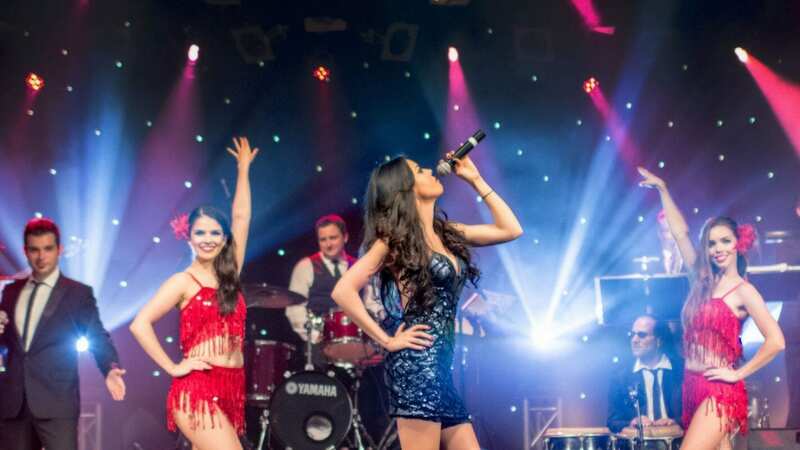 Contact Lovegrove Entertainment for all your party entertainment and corporate event performer needs in Sydney and around Australia. Our highly talented, professional live bands , cover bands and musicians for hire travel to all capital cities including Sydney, Melbourne, Perth, Brisbane, Adelaide, Canberra, Darwin, Alice Springs and regional centres. Corporate Event MC, Darryl Lovegrove is an entertainment industry veteran and will ensure your guests will be raving about your event for months to come. Remember… it’s what your audience feels that matters! No-one has greater access to Australia’s musical theatre performers, opera stars and dancers than Lovegrove Entertainment. That’s why so many A-List event planners love and trust the world class ‘wow-factor’ acts that Lovegrove produce. – Darryl Lovegrove.